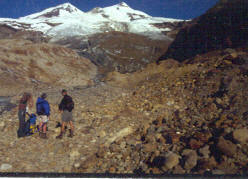 Glacier Changes: During the summer of 2003 the North Cascade Glacier Climate Project will examine in the field the Boulder, Lower Curtis and Lyman Glaciers in the North Cascades, Washington. Between 1984 and 1990, NCGCP observed the terminus behavior of 117 glaciers, 47 glaciers annually, all 117 are currently retreating. Four of the glaciers have melted completely. Three of these glaciers have a photographic record of observations extending over a century long period. In the summer of 1908 Asahel Curtis joined a a party of Mountaineers in climbing from the terminus of the Boulder Glacier to the summit of Mt. Baker. 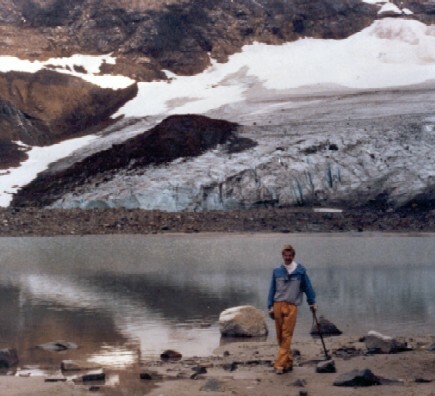 His photographs are part of the North Cascade Glacier Climate Project historic archive, donated by the USGS. 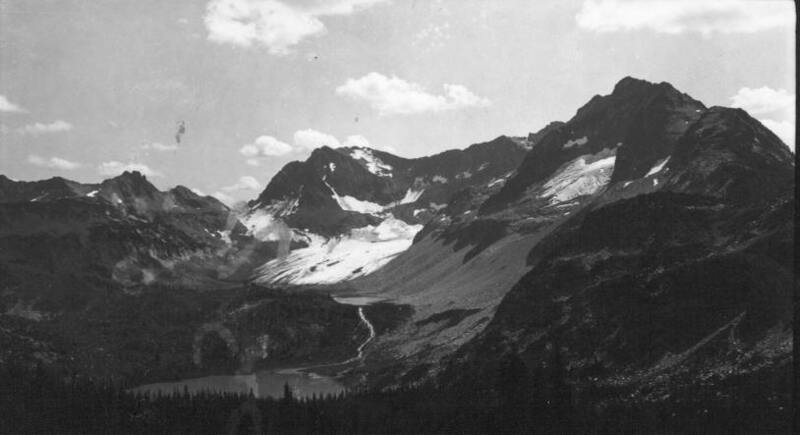 In the summer of 1953, 50 years ago, William Long examined the Boulder Glacier during his summer work with the Forest Service. He noticed a mature forest growing beyond a comparatively fresh end moraine, with poor soil and vegetative development. Many of the mature trees were over 400 years of age. Ascending upvalley he found three additional end moraines marking small advances or still stands of each glacier. He cored several trees growing between each moraine set on the newly exposed morainal surface. . Mapping the vegetation, he found a young forest between the oldest moraine and the intermediate moraine with trees no older than 107 years. From the intermediate moraine to the youngest moraine was a very immature scattered mature forest with few trees, the maximum age being 85 years years. From the youngest moraine to the the 1953 terminus was a sparse shrub dominated area with the oldest tree being 41 years. An examination of tree development below this glacier and the Easton Glacier has indicated a 25-35 year lag between deglaciation and tree growth, thus the dates for the moraines represent an end moraine from 107+30 years prior to 1953 or about 1800 for the oldest moraine, 1840 for the intermediate moraine and 1880 for the youngest moraine. 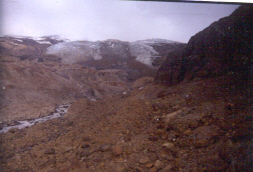 Boulder Glacier in 1979 had an area of 3.4 km2 and a length of 3.93 km. 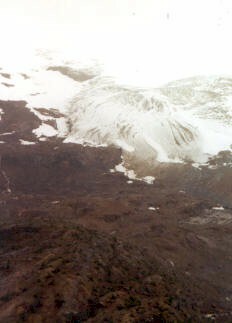 The terminus ended at 1380 m and begins at 3230 m. given an average thickness estimate of 45-50 m the glacier volume is 1.55-1.70 X 108m3. 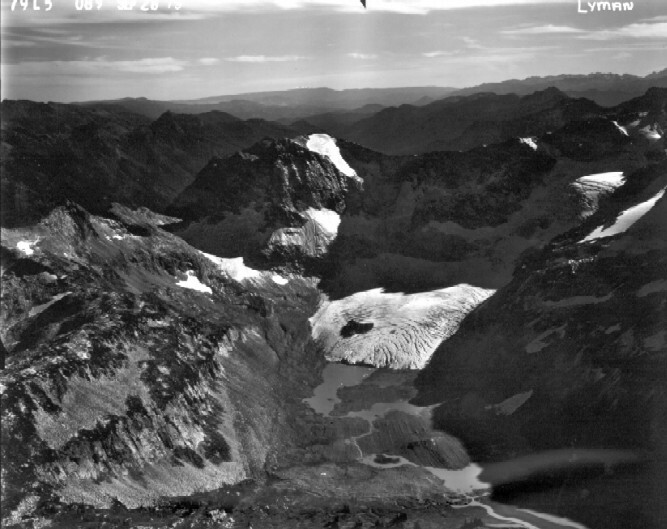 In 2003 the North Cascade Glacier Climate Project will retrace the steps of both Asahel Curtis and William Long measuring the change in glacier length, glacier thickness, and vegetation development below the glacier. From the terminus up glacier we will map the surface profile of the glacier, which can be compared to the Little Ice Age maximum lateral moraines representing the late 18th century glacier surface, the 1954 and 1979 USGS maps to map the previous ice surface. 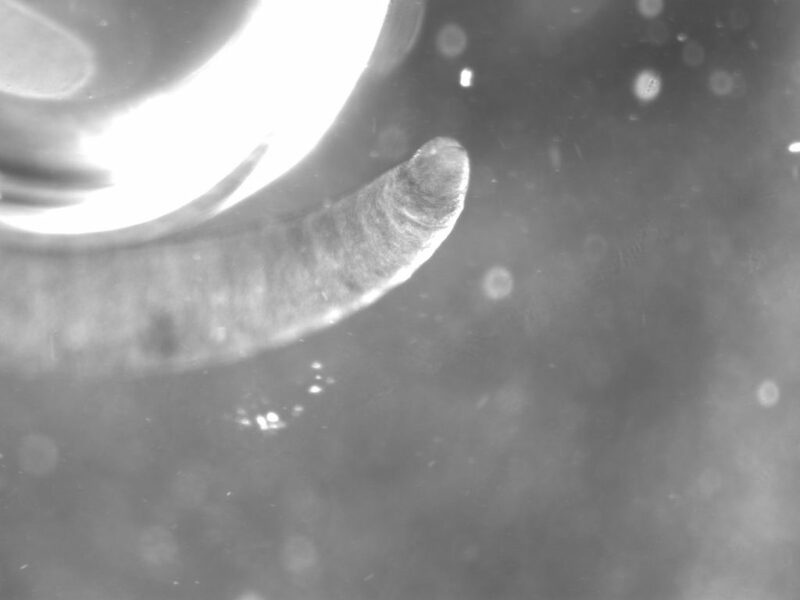 This will indicate the continuing changes in the glacier, which will help indicate its likely future behavior. In all we will have a comprehensive record of glacier changes and post-glacial environment changes over a century long period. 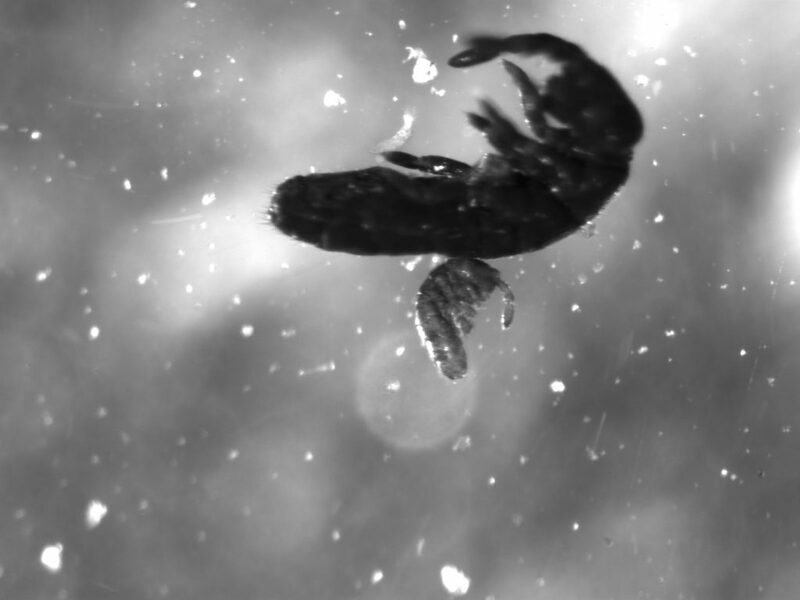 All of which can be documented in photographs as well as quantitative measures. In 1908 Asahel Curtis examined the Lower Curtis Glacier as well. 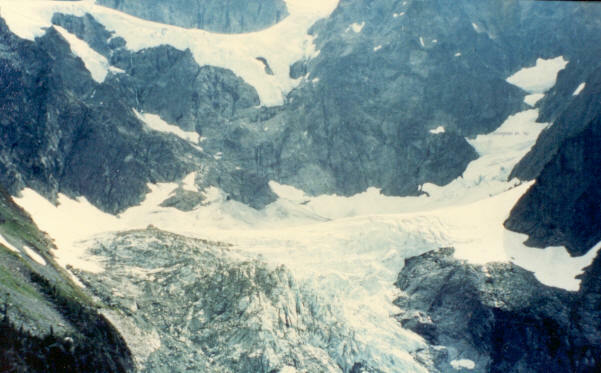 This glacier could be approached from the Shuksan Creek Valley as the glacier spilled over the steep headwall into the valley ending at 3600 feet. Today the glacier ends above this headwall at 4900 feet and it would take a mountain goat extraordinaire to reach the glacier from the Since 1984 the NCGCP has examined this glacier annually. It has retreated 95 meters since 1984 after advancing 225 m in the 1950-1975 period. The retreat from the 1907 position is unknown prior to field work. In 2003 we aim to re-map this glacier and the former glacier from the photographic record to provide again a century of change on a glacier. In 1907 C.E. 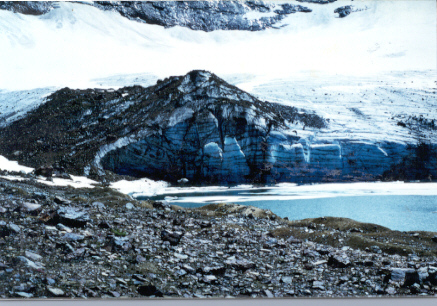 Rusk explored the Lyman Glacier area and photographed the glacier. From 1929 to 1940 Washington Water Power Company monitored the retreat of the glacier and photographed the glacier as well. They emplaced a benchmark from which to measure retreat of the glacier. They found the glacier retreated 643 feet from 1929-1940, and 1748 feet from the Little Ice Age Maximum to the 1940 position. William Long visited the glacier with this party in 1940 and returned to the glacier in 1988 and 1990 with NCGCP. 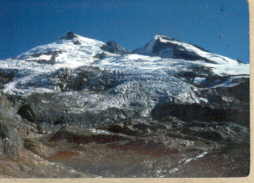 The glacier has retreated 530 m since 1940 and is now less than 25% of its size when Rusk saw it. 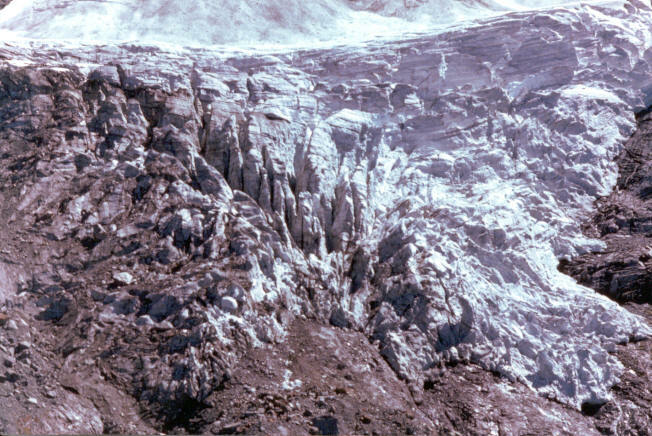 We will return to this glacier to take pictures from each of the termini positions observed by the aforementioned and determine the volume change of the glacier and the timing for the final demise of this glacier. Glacier Runoff: The amount of glacier runoff is the product of glacier area and annual ablation (melting). proportional to a glaciers area. The amount of runoff is substantial amounting to more than 1 billion gallons over the course of the summer for the larger North Cascade glaciers. This summer remapping of glaciers on Mt. Baker will identify the changes in glacier runoff that have and will soon occur due to glacier retreat. pictured below is the runoff from Easton Glacier on the rights which feeds the Baker River Projects and on the left is Deming Glacier which feeds the Middle Fork of the Nooksack River and the City of Bellingham. Data collected this summer will be used by Puget Sound Energy and the City of Bellingham in their long term water resource planning.